https://www.youtube.com/watch?v=bxp8MmE-WeY&feature=youtu.be Love healthy and easy recipes? PumpUp member @rawincollege has you covered on all bases. Her banana berry smoothie bowl and sushi salad raw vegan recipes can be prepared in a snap— you'll want to make them again and again. Watch the full video above to learn how to make her favorite July creations step-by-step. These raw vegan recipes are simple, affordable, and designed for optimal health. Blend frozen berries and bananas together until smooth. This will be your base. Layer on the toppings of your choice. This recipe uses sliced ripe bananas, dragon fruit, and kiwi. Roughly chop cauliflower and pulse it in a food processor to make cauliflower rice. Julienne or shred carrots and slice red cabbage bell peppers, and cucumber. Halve and scoop out an avocado and either dice it or leave it intact. Top sushi rice with kale sprouts. A couple weeks ago I went to a vegan café and ordered the most amazing raw brownie with a cup of tea. I haven't been able to get that glorious chocolatey treat out of my mind since then. You see, brownies were my everything when I was a little girl. My Mom would make them all the time from scratch, then she stopped making them for no reason, so I'd save up money to buy the pre packaged mixes so that I could make them myself. I was around eight years old, and I absolutely sucked at baking. Flash forward eleven years and I'm trying out recipes to re-create that one raw brownie. Who would've thought? Well, good news is... I managed to re-create it. These 5 ingredient raw brownies are even more delicious than the one at the café! Fudgy, rich, decadent, healthy, vegan, gluten free, refined sugar free... You know the drill. Only the absolute best for you guys! We'll be needing no more than five ingredients, a food processor and your fridge to make these simple yet unbelievable raw vegan brownies. Pinch of sea salt, if desired. Pulse almonds and walnuts in the food processor until ground. Add in your dates, process until a dough is formed. Add the cacao/cocoa powder and the salt. Process again until the dough becomes all brown and chocolatey. Place the sticky dough into a pan (I used a loaf pan) and press. Now put it into your fridge or freezer for 10-15 minutes to chill before cutting into squares and enjoying. And there you go! 5 ingredient raw brownies for chocolate lovers. You can even top it with some nut butter or a ball of banana ice cream... Or both! Enjoy! 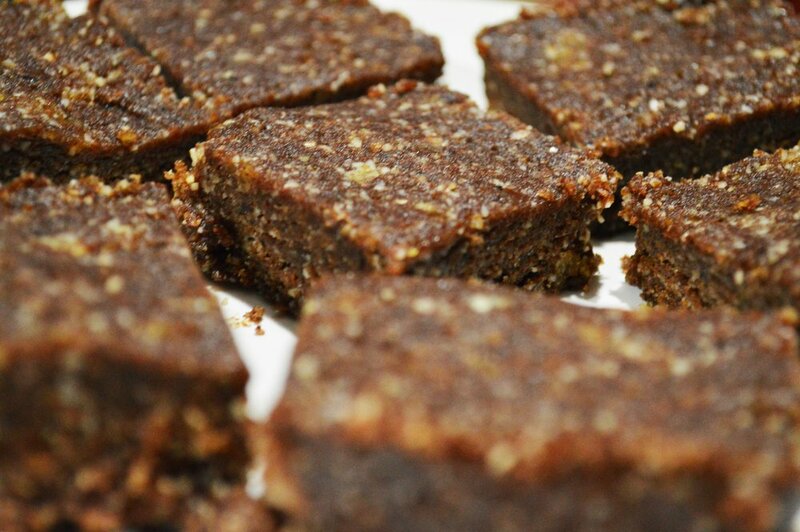 This recipe for 5 ingredient raw brownies was created by PumpUp member mariajumps. Keep her pumped on the PumpUp app here! Craving a cold snack? I have your back! Here's my little take on the not-so-healthy (but always tempting) ice cream sandwich. This has no added sugar, it's vegan, and I promise that it's just as satisfying and delicious as the real thing (if not better!). Bananas are our main ingredient. I also incorporated a few fitness community favorites: peanut butter, oats, coconut oil and cacao powder. We're making the cookie layer base, the ice cream and a chocolate sauce to top it all off. Simply mash the banana and mix with the oats and the peanut butter until they're well combined. You can shape them into cookies, although I recommend using some kind of mold or tin for brownies or cupcakes. We'll be using the same tin for the banana ice cream too, so that the cookies and the ice cream have the same shape. Place the cookies in the oven and bake at 350F for 10-15 minutes. Leave to cool on a wired rack. Try not to eat any! Mix both together with a spoon until well combined. Drizzle the cacao syrup on top of the strawberry nice-cream bars and return to freezer for a couple minutes, until the syrup has set. Carefully take the bars out of the tin by dipping a sharp knife in hot water, then slice the strawberry nice-cream bars into squares. Time to put your strawberry nice-cream sandwich bars together! Grab a cookie and place a square-shaped piece of nice-cream on top. Eat it as is, or place another cookie on top to make it look like a real ice cream sandwich. There you have it: simple, vegan, and refined-sugar free strawberry nice-cream sandwich bars. Perfect to have as snack or dessert (or just for whenever you feel like it, let's be honest here). Enjoy! 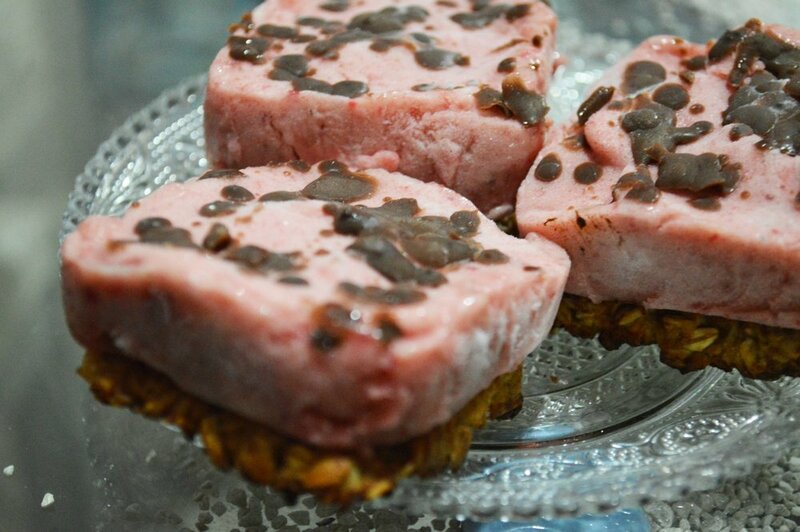 This recipe for vegan strawberry nice-cream sandwich bars was created by PumpUp member mariajumps. Keep her pumped on the PumpUp app here! These healthy recipes for BBQ season can't be beat. This is our ultimate guide of tried and true creations that are celebrated and beloved by wellness aficionados all over the globe. Boost your BBQ with heart-healthy omega-3s! 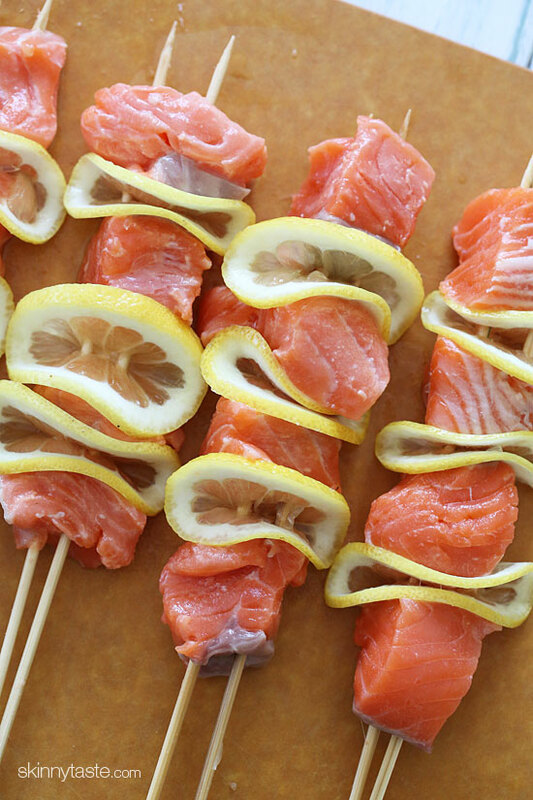 Carefully fold thin slices of lemon between each salmon piece to infuse your kebabs with a juicy, citrusy flavor. Get the recipe. 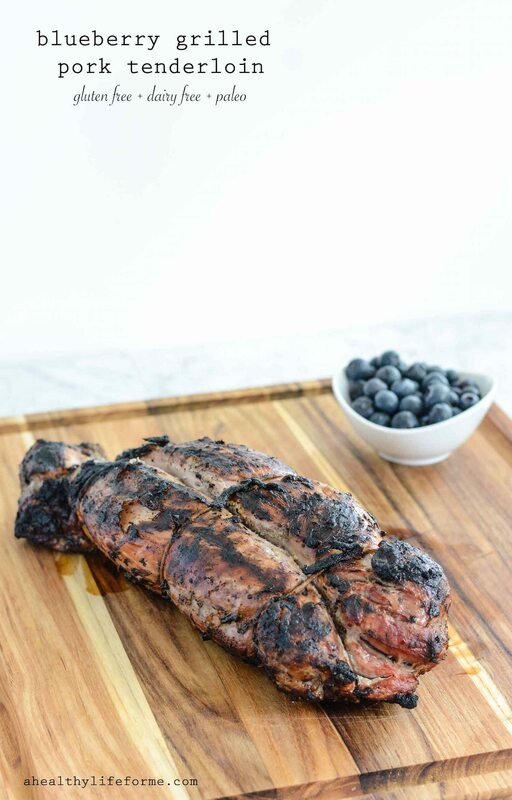 We know what you're thinking, but it's not so weird: if you maple bacon is great, why shouldn't blueberry pork tenderloin be? This combination simply 'blue' our minds. It's gluten-free, dairy-free, paleo, and damn delicious. Get the recipe. See the sheen on that glaze? It means something wonderful. 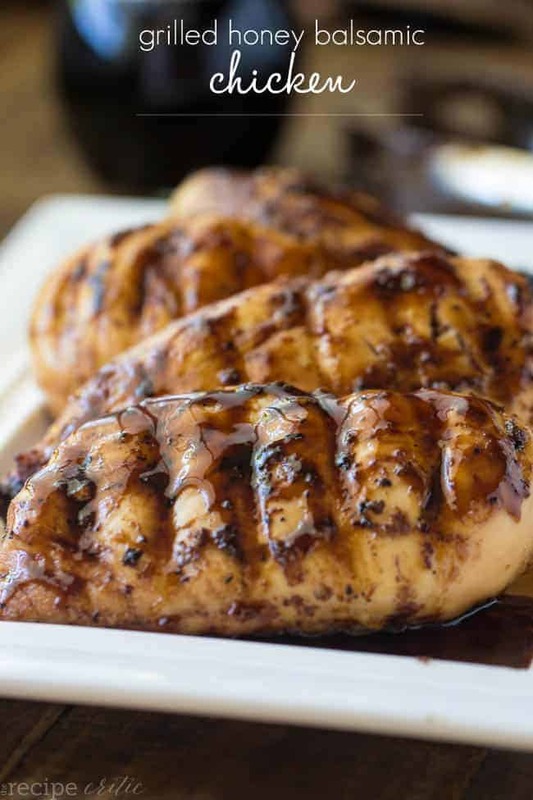 This grilled chicken recipe uses honey, rather than the straight-up brown sugar that most recipes call for. There's tons of lycopene in this glaze thanks to the ketchup, but be sure to use a homemade version if possible (here's our favorite sugar free recipe). The chicken will be tender and juicy, never bland. Get the recipe. Nobody wants their steak to taste like leather. Visions of tough and flavourless steak will no longer haunt your sleep thanks to this bold, lean, and juicy recipe. The key is to marinate the flank steak overnight, then to flash grill the meat on high, allowing it to sit quietly in its own juices before serving. Get the recipe. These are the answer to your vegetarian barbeque dreams. Cauliflower is thick and hearty enough to withstand a bit of grilling and roasting with pantry staples: salt, pepper, olive oil, and chili pepper. Get the recipe. Eggplants will quell your deepest vegetarian desires. Grilled eggplant is warm, garlicky, full of fiber, and vitamin B1. A smattering of freshly grated Parmesan cheese will make this dish an instant crowd pleaser. Get the recipe. Did you make a little noise as soon as you scrolled down and saw this picture? Because that's what we did when we stumbled upon the Minimalist Baker's latest and greatest creation. This is a burger with a big capital “B”. It’s a mixture of a dizzying array of flavours: sweet, savoury, spiced, and smoky. Get the recipe. It's different from a plain old slab of portobello mushroom. 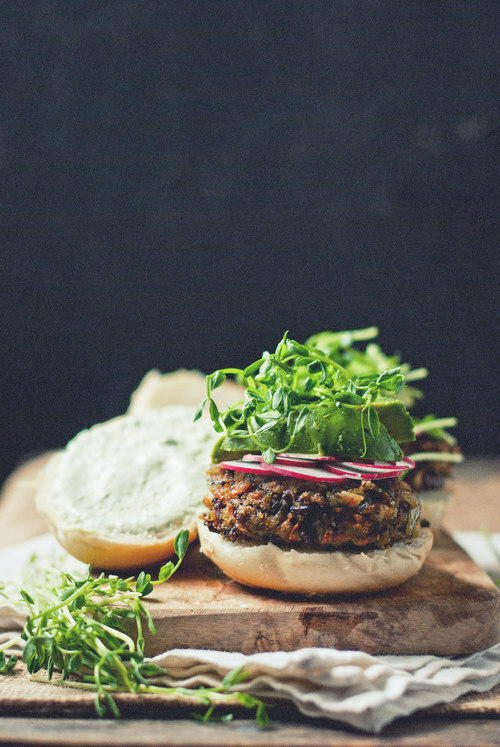 Nutty and earthy flavours make this burger a fibre-filled and protein-packed winner. It’s a fancy without any fluff. Get the recipe. Filled with spunky herbs and summery flavours that taste anything but fishy, this shrimp burger will transform summertime sadness into pure and unadulterated joy. Get the recipe. True to it’s name, the ultimate veggie burger doesn’t disappoint. 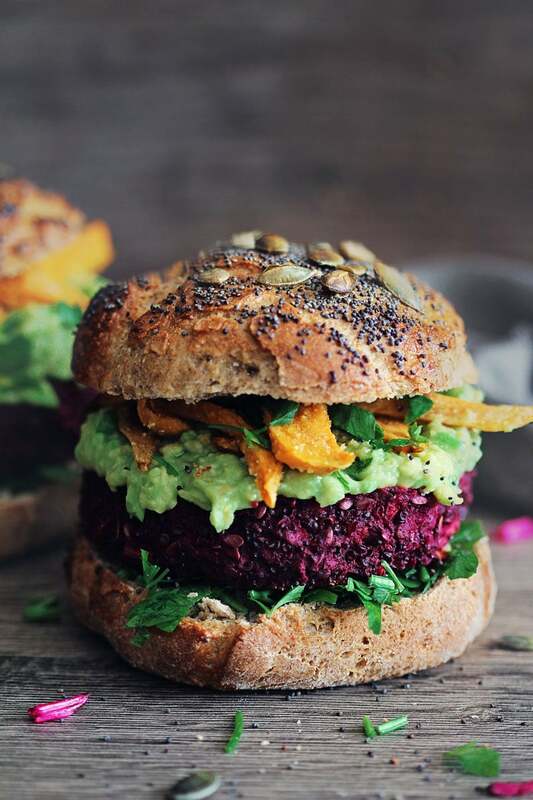 Roasted beets and sweet potatoes dance with quinoa to create a bold, yummy (and darn-good-for-you) burger. Get the recipe. This chicken burger is anything but bland. Jalapeño and red pepper flakes kick the heat up a little more than a notch. You can freeze these burgers ahead of time and play with the recipe by subbing the chicken for ground turkey. Get the recipe. Being green has never been so easy. 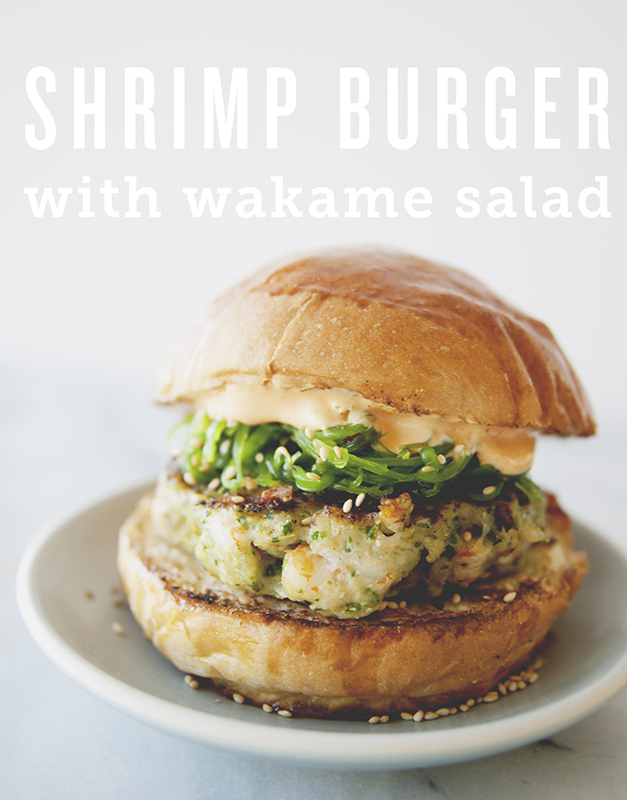 Edamame and walnut make surprising and delicious burger partners in crime. 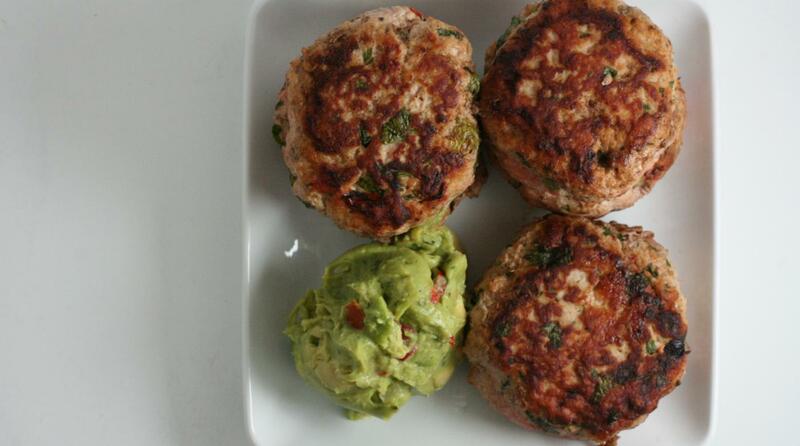 Full of healthy fat and protein, you’ll want to make these easy burgers long past the 4th of July. Get the recipe. There isn’t anything wrong with sharing this delicious and filling salad, but it’s okay to hog it all to yourself for dinner too. 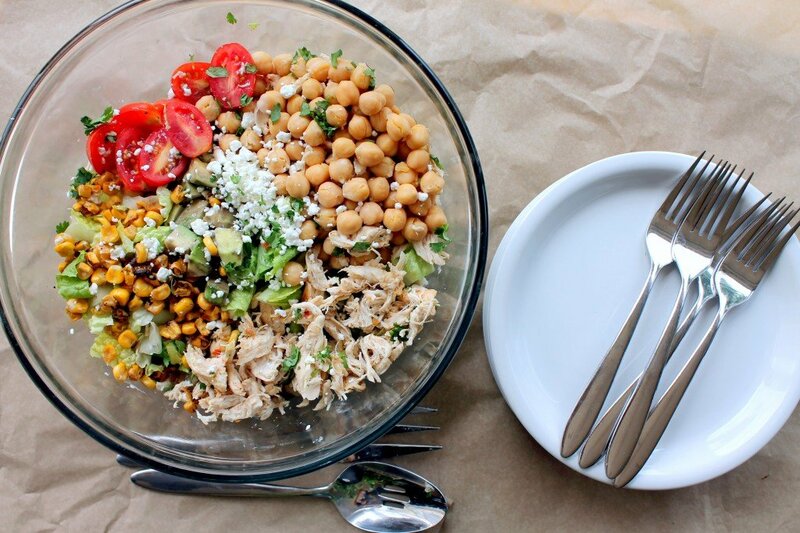 Toss together chickpeas, cooked chicken breast, and any vegetables in your kitchen and you have a sensational salad in your midst. Get the recipe. 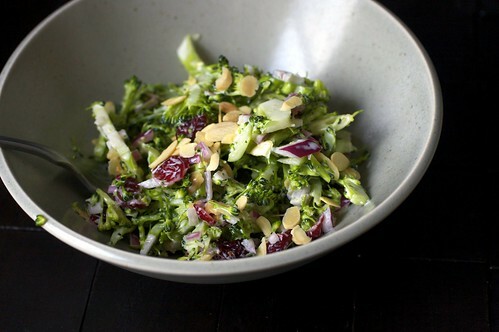 You won’t be-leaf how delicious leafless salads can be. If you’re in a bind for your next barbecue, this fresh, crunchy, and healthy bean salad will be the talk of the party. Whip it up in an instant and thank us later. Get the recipe. Eat the rainbow quite literally. 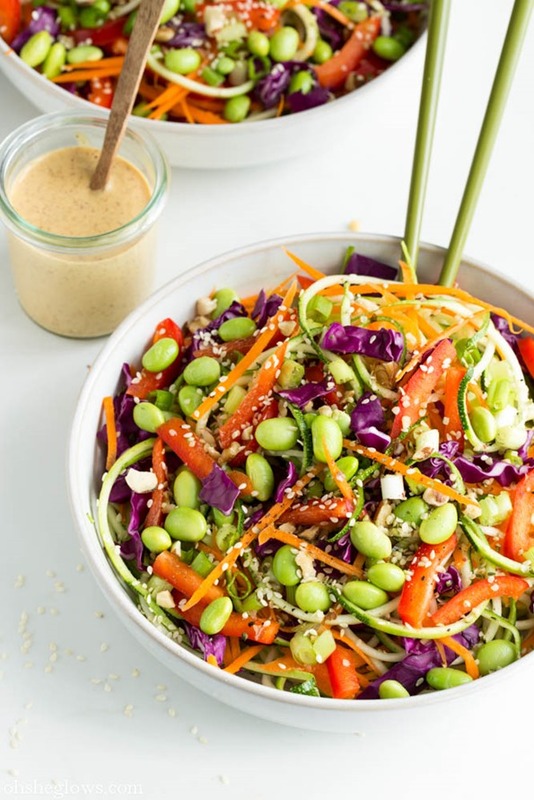 There really isn’t anything on the Earth quite like this rad rainbow pad thai salad. Filled with veggies and seeds and topped with a punchy dressing, this salad is the answer as to where somewhere over the rainbow is. Get the recipe. We're more than in love with the Smitten Kitchen cookbook. 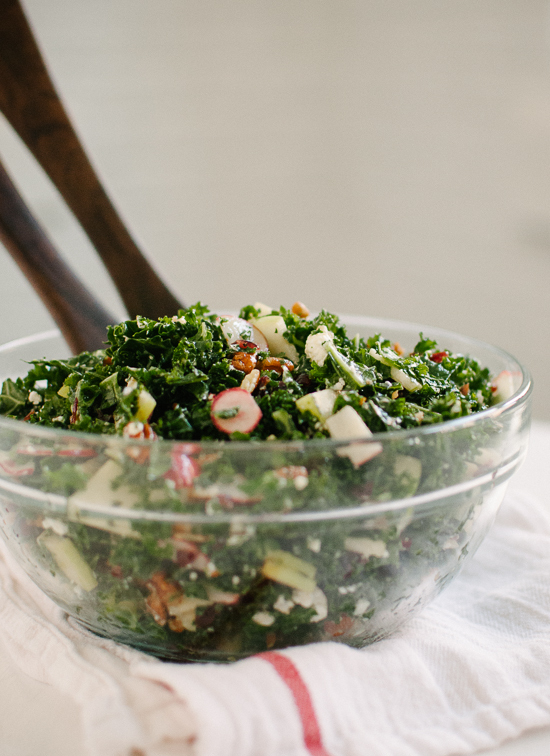 The dressing for this kale salad is one that you’ll want to make again and again. Crunchy apples and sweet cranberries help to offset the bitterness of the kale. Get the recipe. If you’ve never made the Smitten Kitchen’s broccoli slaw, drop everything right now, pick up a leafy head of broccoli, and get chopping. This slaw is life-altering. Make it lighter with 0% fat greek yogurt instead of mayo. Get the recipe. Sweat over the weather, and not over your pasta salad. This recipe from PumpUp blogger The Healthy Maven will dispel any misgivings and preconceptions that you have about bringing pasta to an allergy-sensitive barbecue, because these noodles are delicious and made entirely of gluten-free whole grains. Get the recipe. Brussels sprouts get an unfairly bad rap. When roasted or grilled, they taste more like chips rather than bitter spheres of fury. So make skewers out of sprouts. We promise they'll deliver. For this recipe, you'll essentially need one ingredient (the brussels sprouts) plus a few items in your pantry. Get the recipe. Stuff your face with all things good for you. These paleo sweet potato pockets are loaded with a mix of sweet and savory: cranberries, bell peppers, apples, spinach, red onion, and bacon. If you're not a meat eater, feel free to omit the pork and opt for the substitute of your choice. Get the recipe. Hello, avocado. We love you more than words can describe. 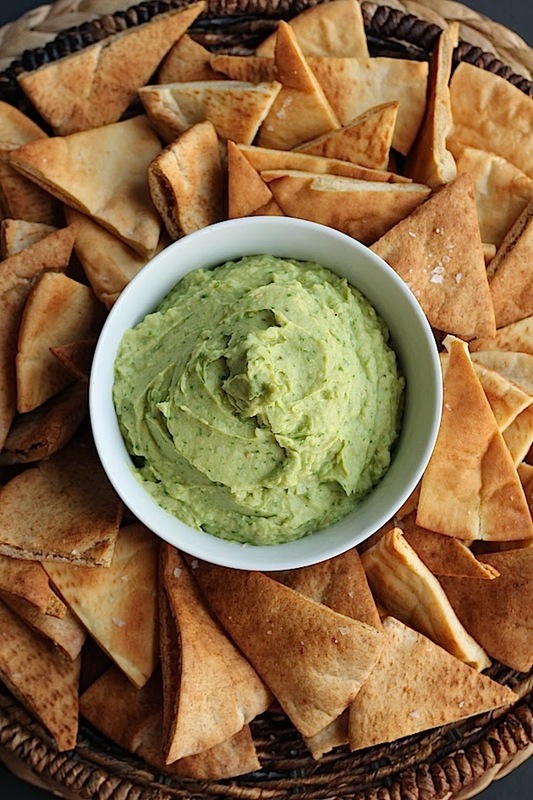 If the tangy taste of guacamole gives you grief, cleanse your palette with this creamy and healthy avocado hummus instead. Toast up some whole wheat pita wedges in the oven, and you'll be able to dig deep into the smooth green sea of avocado abundance. Get the recipe. Like pinwheel sandwiches, but better. Little as these zucchini roll ups may be, they are fierce with flavour. Colourful spices adorn these adorable vegetable treats with a smokiness that is quickly offset by subtle, creamy goat cheese. Get the recipe. Once you go grilled fruit, you never go back. It will change you. Most grilled pineapple recipes call for a bit of brown sugar and butter, but that's not good for you. 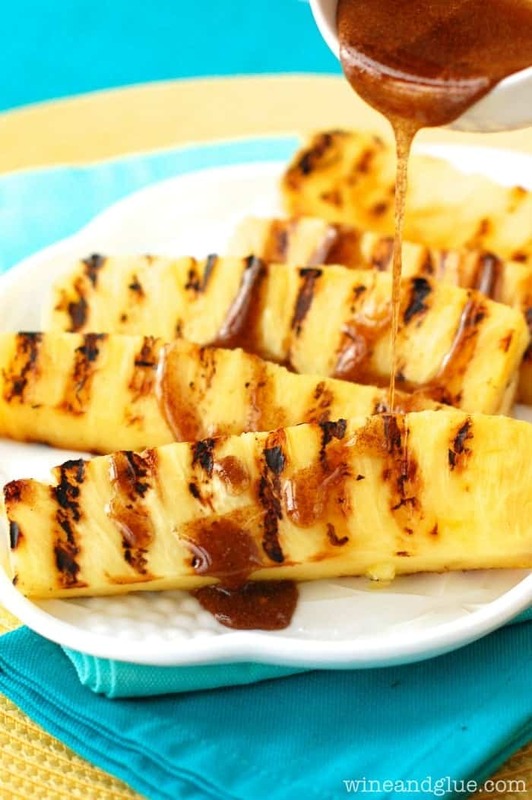 Take a pineapple, hack it up, and grill it over medium before drizzling it with a bit of cinnamon and honey. It's that simple. Get the recipe. Yeah, we went there. Watermelons aren't only for drinking, after all. Grilling your watermelon is an out-of-body experience. If you can believe it, grilled watermelon tastes even sweeter. With a touch of balsamic and a bit of fresh basil and crumbed blue cheese, you won't be able to rest until you definitively cross grilled watermelon off of your priority list. Get the recipe. You've committed to healthy eating. Practice what you peach without compromising on flavour. Gorgeous grilled peaches don't need an elaborate preparation ritual to be nutritious and delicious. Rosemary, oil, and balsamic: that's all you need. Get the recipe. Can that happen? Really? If there is a will, and a grill, there is a way. Halved bananas drizzled with a bit of maple syrup and cinnamon will caramelize nicely under the intense flame of the grill. It'll bubble and burst until a tasty banana baby is born right before your eyes. Get the recipe. Hey guys! If you missed me making a few healthy dips and recipes on the PumpupHQ Snapchat on Friday last week, here are the recipes that I made! They are perfect for BBQ season and super healthy, so you don’t have to feel guilty about indulging in some yummy snacks! You guys already know my breakfast recipe, the Scrambled Tofu, because I’ve already blogged about it here on PumpUp, and on my own blog! As for the other recipes, I filmed myself making traditional Greek Tzaziki and a Black bean and corn dip. This is my all-time favourite dip to make, because it’s so easy to make, and so delicious! It’s creamy, full of garlic, and it’s perfect for those hot summer days where you just want to cool off with a light snack. To start, grab a bowl, a strainer/sieve, and a bunch of paper towels/paper coffee filters/cheese cloth (if you own one). Line you’re your strainer/sieve with the paper towels or coffee filters, you’ll want about 4 to 5 layers so the yogurt doesn’t rip through. Place the whole yogurt container in it, and pop that into the fridge for 2 hours, or if you’ve really got time, overnight. This will strain out most of the water from your yogurt, leaving you with really creamy yogurt “cheese”. I was in a hurry this weekend so I just let it strain for 2h, but you can leave it for as long as you want. Next, do the same with your cucumber! Cut your cucumber length-wise, scoop out all the seeds, then grate it finely with a cheese grater. Place all of the grated cucumber in a sieve lined with paper towels, or to save space, wrap your cucumber in paper towels, place it in a bowl, and put a something heavy over it to press the water out. Kind of like what you do with tofu. Once the water has been extracted from both yogurt and cucumber, place them together in a large bowl. Chop up your garlic finely, and then stir it in with your lemon juice, salt and pepper. Mix until everything is combined! This is another crowd pleaser, great for nacho night too! In a large mixing bowl, mash your black beans with a potato masher, until they are pretty creamy. You can also do this in a food processor to save time, but I find that with a potato masher, it saves you dishes. Once the beans are smooshed, mix in your hot sauce, olive oil, lemon juice, chopped coriander and your cumin. Stir until everything is combined. Mix in your corn kernels and salt and pepper, and there you have it! I also had a mixed bean salad I wanted to show you guys, but didn’t get the chance, so here it is now! It's one of my favourite salad recipes for BBQ season because it has a relatively neutral flavour and you can dress it up very easily with a few pantry staples! In a large pan on medium heat, sauté your zucchini, bell peppers and green beans until they are slightly grilled. Transfer them into a big serving dish when done. Add in all the other ingredients. Rinse and strain your beans and add them to the veggie mix. Drizzle the olive oil, balsamic vinegar, and sprinkle the herbs. Toss and it's ready to serve! We've done another variation of this salad, but instead of using fresh rosemary, we went with parsley, which gives it a completely different but tastes just as amazing! These healthy allergy-friendly recipes for BBQ season are part of a monthly series by Zoë Desborough. Follow Zoë on PumpUp (@zoedesborough) and on her blog. You're cool. Stay that way with refreshing and healthy ice pops! They're simple to make and perfect on a hot summer's day. Sliced up fruits make perfect frozen treats when they're blended with water or coconut water. If you prefer creamier textures, create your ice pops with greek yogurt or coconut milk. Blend all the ingredients but leave out some pieces of fruit. Put all the mixture into ice pop moulds or small yogurt cups. Carefully press a stick into the ice pop mold and freeze for at least 3 hours. Run hot water over the mixture to release the ice pop from the mold. These two summery healthy ice pop recipes were created by PumpUp members @tyler_bacc and @tysa. Let them know if you tried the recipe in the comments below! Sure, it might be National Donut Day (or any national 'dessert' day for that matter). Don't let your sweet tooth bring your down! When you're craving for something sweet, try to eat a healthier alternative with a similar texture. If you're craving creamy ice cream, make banana 'nice cream'. If you're craving fluffy donuts, try some vegan gluten free pancakes! 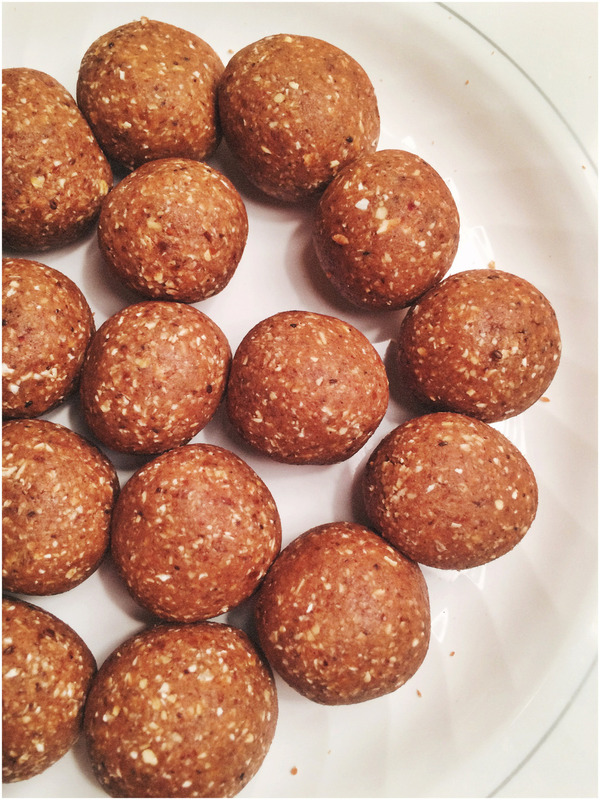 They're far easier to make than doughnuts, and they're far better for you. In a small bowl, mix cashew milk with lemon juice and set a side. Whisk together flour, baking soda, cream of tartar, cinnamon, and allspice. Alternate between pouring in the milk mixture and mashed banana until just incorporated. Fold in the stevia and chocolate chips. Warm up a pan on low/medium heat and create pancakes, flipping once air bubbles form at the surface of the batter. While pancakes are cooling slightly, chop the other half of the banana and set aside. Melt together a chocolate chips, cocoa powder, water, and chocolate PB2 to make a sauce. Sandwich the bananas between pancakes and pour sauce on top. The first time I attempted to make this delightfully sweet quinoa porridge was a couple of weeks ago, and I haven't been able to stop experimenting with different spices, nuts and fruits since! It was just a matter of time before I tried a chai tea version, because I'm THAT obsessed. This quinoa porridge is absolutely perfect to make as a quick, warm and yummy dinner on a cold night, but it's just as good on a sunny morning for breakfast. It won't take you more than twenty minutes to put together and I promise it'll keep you full while curbing those sugar cravings thanks to all the protein and fiber it holds! You can even make it the night before and keep it in the fridge overnight to grab the next morning for breakfast or as a snack. Quinoa porridge is one of those very versatile dishes that you can eat whenever you want and spice up with whatever toppings you like! 1. Pour milk into a pot and bring to boil. 2. 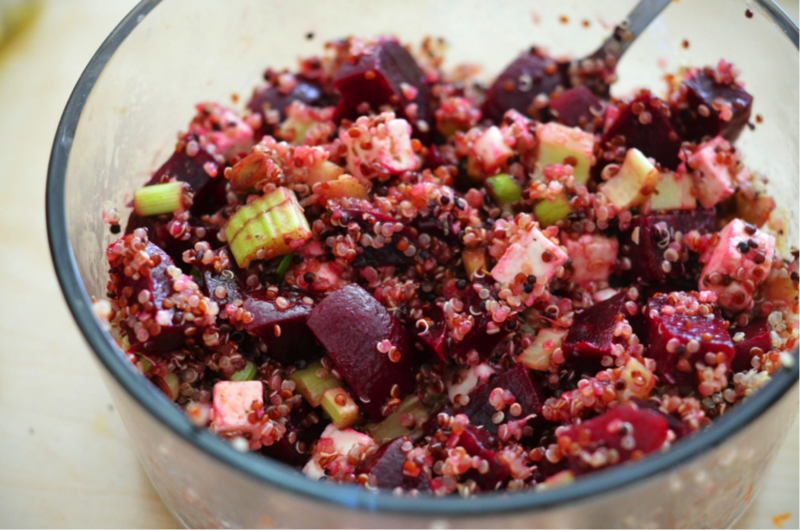 Once the milk is boiling (bubbling), add in your quinoa. 3. Add in your spices and sweetener. 4. Stir everything together and let it sit, keep an eye on it at all times and stir from time to time to avoid sticking. 5. Once you see that your quinoa's almost done (there should be some of the milk still, almost like a rice pudding consistency) add in your chopped apples and combine them into the mixture. Let it all sit for around two minutes or until they tender. 6. Once it's done, pour into a bowl and top with your favorite nuts and seeds. Enjoy! This recipe for apple chai quinoa porridge was created by PumpUp member mariajumps. Keep her pumped on the PumpUp app here! Cauliflower used to be my worst nightmare. But, as I grew older and experimented with different preparation methods, I started to like it little by little. Now that I'm a vegetarian, I find that cauliflower can be a godsend for its versatility. You can puree it into soup, turn it into rice, slice it into salad, use it as a pizza base, or even serve cauliflower steak. It's thick enough as a base and it roasts very well with simple garnishes: salt, pepper, and olive oil. Preheat the oven to 170C/325F. Carefully peel away the leaves from the cauliflower and cut it in half. Make long slices that should roughly be the width of your thumb. Leave the stalk on and remove any additional leaves that remain. In a skillet that's safe to put into the oven, heat a bit of olive oil on medium and sauté the cauliflower slices until the edges become a soft brown color (5-7 mins max on each side). Season each side of the cauliflower with salt and pepper, then put the pan in the oven for 15 mins. Keep an eye on it so that it doesn't burn. Mince the red onion, tomato, garlic cloves, and chilli pepper (if using) and toss them into a small bowl with olive oil and a bit of salt. When the cauliflower is ready, plate it with the onion mixture and light mayonnaise (optional) to offset the onion taste. If you have cauliflower steak left over, turn it into cauliflower rice or chop it into a salad for the next day. 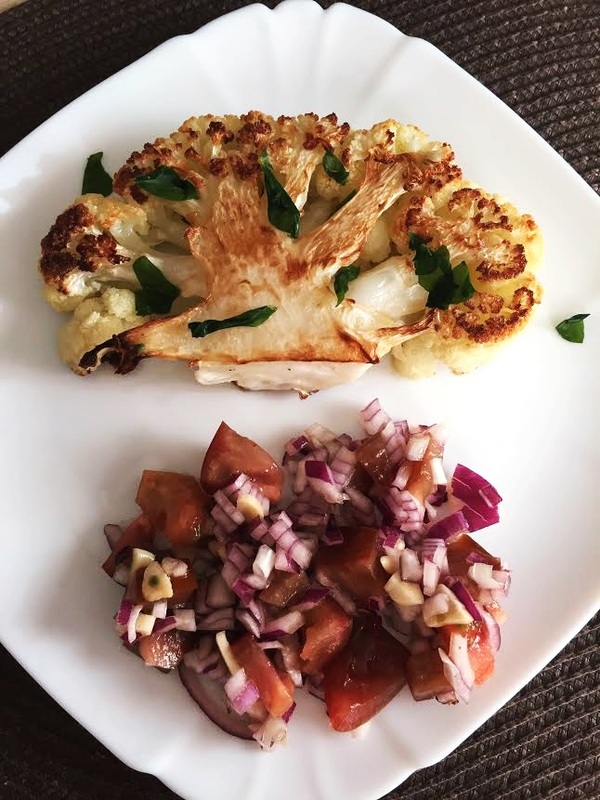 This cauliflower steak recipe was created by Anna M (eatforyourpeace). Follow her on PumpUp @annaaa_, on Instagram @annaaamsl, and check out her blog. Let us know what you think of Anna’s cauliflower steak recipe in the comments below! What's your favorite kind of chocolate? Finding healthy chocolate alternatives can get pretty difficult. Convenience store chocolate is usually loaded with ingredients that I wouldn't even know how to pronounce! Though some reckon that 70% chocolate bars are better, even those can be filled with nasty chemicals and refined sugar. I've come up with a healthy version of Reese's Peanut Buttercups. You'll only need 5 ingredients, and you can probably find most of these in your pantry. Ready for some chocolatey goodness? You can adjust the proportion of these ingredients depending on what you like. You can also replace the nut butter with different fillings: date paste, berry jam or banana ice cream (do this and you won't be sorry)! 1. Melt coconut oil in the microwave for 30-40 seconds. 2. Mix together coconut oil, cacao powder and honey, or the sweetener of your choice. 4. Place the baking cup in the freezer until hardened. 5. Get the baking cup out of the freezer and add in your nut butter of choice. 6. Return to freezer for a couple minutes to help the nut butter set a little bit. 7. Get it out once again, and pour the rest of the cacao mixture. 8. Return to freezer. Once it's completely hardened you can get it out, garnish if you want and and enjoy! 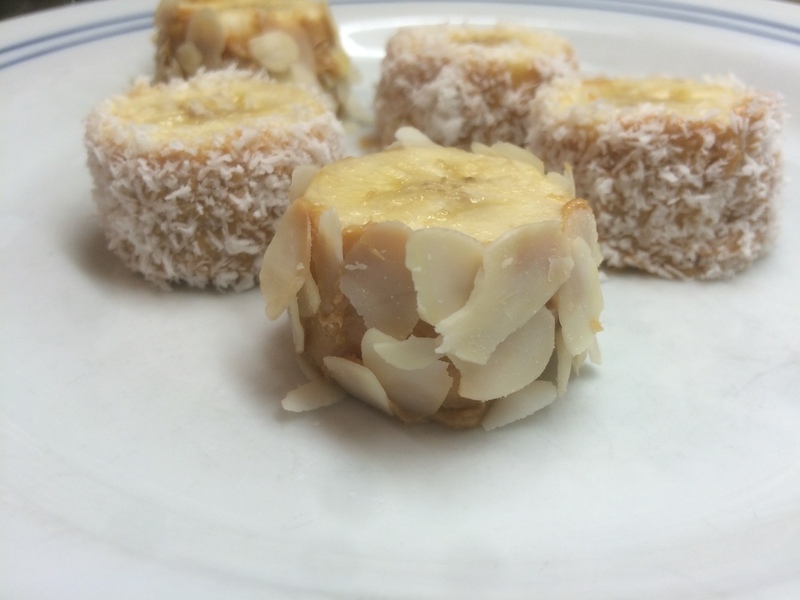 This recipe for 5 ingredient vegan peanut butter cups were created by PumpUp member mariajumps. Keep her pumped on the PumpUp app here! 4 green spirulina recipes that will blow your mind - Get healthy with Valentina! It's spring! Finally, the sunshine gleams so beautifully bright and it warms my hearts. Blossoming flowers, to me, signify that it's a time for new beginnings. It's time to spring into action. As the wind blows the winter away, we too can blow all of our regrets away and prepare ourselves to really reach our goals before summer. In light of new beginnings, I thought it would be nice to try new healthy ingredients in my recipes. I was so inspired by all the green trees and plants surrounding me that I thought it would be nice to eat green food for a change. The special ingredient in these four recipes is Spirulina. Over the past few weeks, I read that Spirulina is used to treat a range of metabolism and heart health issues, including weight loss, diabetes and high cholesterol. 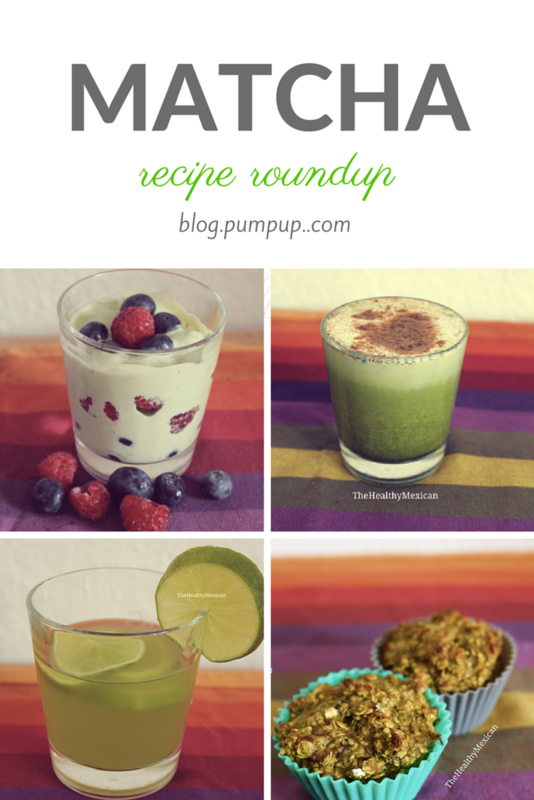 Enjoy these spirulina recipes and let me know how you get creative with your food! At least 5 hours prior to making the ice cream (preferably overnight), peel and chop your bananas into small pieces, place them in a zip lock bag and store in your freezer until you’re ready to make the ice cream. Remove the bananas from the freezer, place them in your food processor and blend. Scrape down the sides a few times until everything is incorporated. Be patient with this, as it takes a while for the bananas to become a smooth, ice cream-like consistency. Feel free to add milk if you need. Once the bananas have smoothed out slightly, add the chlorella powder, spirulina powder and peppermint extract, then process again until the ice cream has become green. Scoop into a bowl and top with raw dark chocolate or cacao nibs, and enjoy! Directions Combine everything (except the spirulina powder) in blender or food processor and process until smooth. The blender gave me the best result for this. Add a bit more yogurt if you prefer a less viscous consistency. Chill and then sprinkle with the spirulina on the top and enjoy! Directions Pulse basil, almonds, spirulina, garlic, and ½ tsp sea salt in food processor to combine. Add oil gradually, processing until mixture is finely chopped, about 1 minute. Pulse in lemon juice. Serve and enjoy! Directions In a bowl, combine the olive, nutritional yeast, spirulina, garlic powder, turmeric, onion powder, curry powder, basil, cayenne, and some salt. Mix well and set aside. Pour coconut oil into a large, deep pot. The oil should cover the bottom of the pot. Drop 3 kernels into the pot, cover, and turn the heat to medium-high. Once the kernels have popped, add the rest of the kernels and remove from heat to shake and coat all kernels in the coconut oil.Return the pot to the stove, over medium-high heat. Once the kernels begin to pop, shake the pot vigorously with the lid ajar until the pops start to slow (a couple of minutes). Turn off the heat and pour the spirulina mixture over the popcorn. Mix well until the popcorn is evenly coated. Taste and add more salt as needed. And Enjoy! These green spirulina recipes are part of a series of monthly posts by Valentina M. Follow her on Instagram@thehealthymexican9 and on PumpUp @thehealthymexican. ¾ cup coconut milk or milk of your choice. Coconut milk from the can works as well. Add self-rising flour in a mixing bowl then add the coconut oil. With a fork, mix everything together until it resembles crumbs. Add the coconut milk and mix until it is fully combined as a dough. Place biscuits on a baking sheet and pop them in the oven for 10 mins or until golden on top. You can eat them right away or save them for breakfast and serve them with peanut butter and fruits. They are not too sweet: you can eat them with coffee or you drizzle some honey and nuts on top of them. These gluten free breakfast biscuits were created by Anna M (eatforyourpeace). Follow her on PumpUp @annaaa_, on Instagram @annaaamsl, and check out her blog. Let us know what you think of Anna’s 3 ingredient gluten free breakfast biscuits in the comments below!